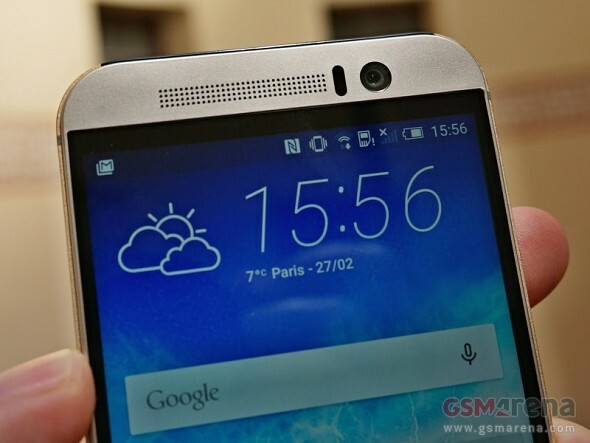 Now that the HTC One M9 is finally official and the rumor mill on its looks and specs has shut down, one aspect that remains to be cleared is pricing. We've been hearing bits and pieces of information on that matter, starting with the figures in the UK, where it has been priced at £580 (or around $860), with a shipping date before March 31. The all-metal device has now apparently surfaced in Taiwanese listings, where it goes for the equivalent of $699. Reportedly, the smartphone will hit its native market on March 16, unsurprisingly ahead of both the UK and US. The American market will however be graced with a lower price. Local retailer B&H has put a $649 price tag on the One M9 and the flagship will be available for purchase starting March 25. Bear in mind that all the above prices are for the 32GB version, and word on the street is there might be a 64GB option, which will naturally command a higher price. what you say ? last year M8 was better than S5 . soon we can see this year which is better . who can say S6 is faster when he haven't S6 or M9 ?